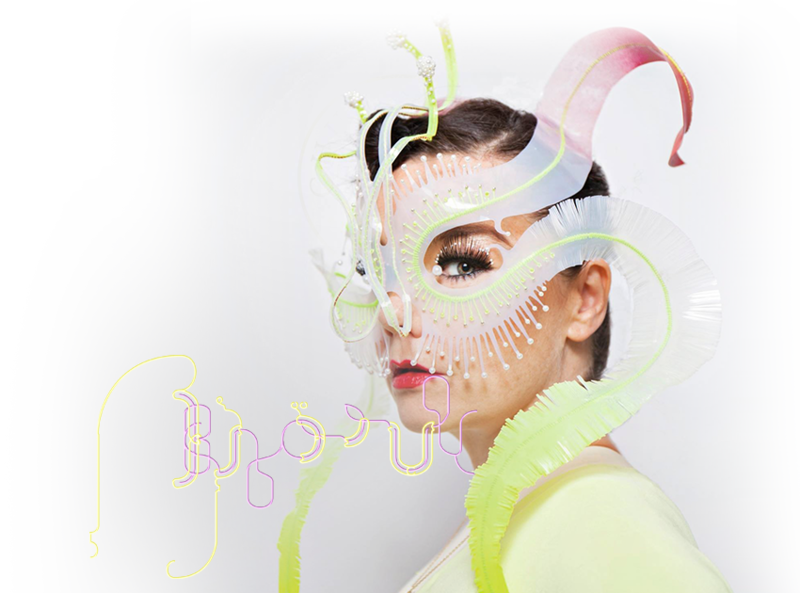 III Points is bringing Björk to Miami on December 5th, 2017 for a special musical engagement—and her first ever appearance in Florida as part of our fifth annual Art Basel Concert Series. Tickets are only available here. The iconic Icelandic artist, whose ninth studio album is out later this year, will curate a DJ set in the 100,000 square foot warehouse Mana Wynwood, at the heart of Miami’s vibrant Wynwood Arts District. Oneohtrix Point Never (dj set) will join Björk for this very special night. musician, composer, Mercury Prize nominated producer, and label founder of Software Recording Company who works from Brooklyn, New York. He has released numerous albums - most recently the critically acclaimed "Garden of Delete" (2015) on Warp Records. The Hammer Museum in Los Angeles organized a film exhibition "Ecco: The Videos of Oneohtrix Point Never and Related Works" around his work (2016). Hislatest original film score for Good Time (dir. Josh and Benny Safdie) premiered in official competition at 2017 Cannes Film Festival where he received the Best Soundtrack Award and additionally won Best Original Score Feature Film in the Hollywood Music and Media Awards November 2017. Museum, Los Angeles (2016); Holland Festival (2014); Tate Britain, London and MoMA PS1, New York (both 2013); Hirshhorn Museum and Sculpture Garden, Washington, D.C., and Saatchi & Saatchi, London (both 2012); and The Museum of Modern Art, New York (2011) among others. His film scores include Josh and Benny Safdie Good Time (2017), Ariel Kleiman Partisan (2015), and Sofia Coppola Bling Ring (2013) and his production credits include Anohni, FKA Twigs, David Byrne and Nine Inch Nails among others.